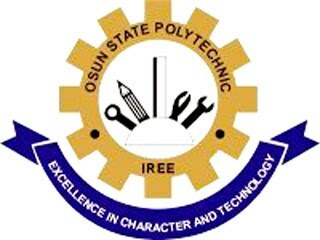 Osun State Polytechnic Iree admission list for the 2018/2019 academic session is out. The released OSPOLY admission list is the first batch ND full-time admission list. The list contains the names of candidates who have been offered provisional admission for the 2018/2019 session. Candidates who took part in the Iree Poly Post-UTME screening for 2018 can now view their admission status online. The next paragraph will show you how to check the OSPOLY Iree 2018/2019 admission list. The candidates listed below have been offered Provisional Admission into the Osun State Polytechnic (OSPOLY), Iree ND full-time programmes for the 2018/2019 academic session. proceed to JAMB website to ACCEPT offer of Admission. You should see How to Reject/Accept Your Admission on JAMB CAPS. We congratulate all candidates whose names appear on the 2018/2019 first batch admission list of Osun State Polytechnic, Iree.